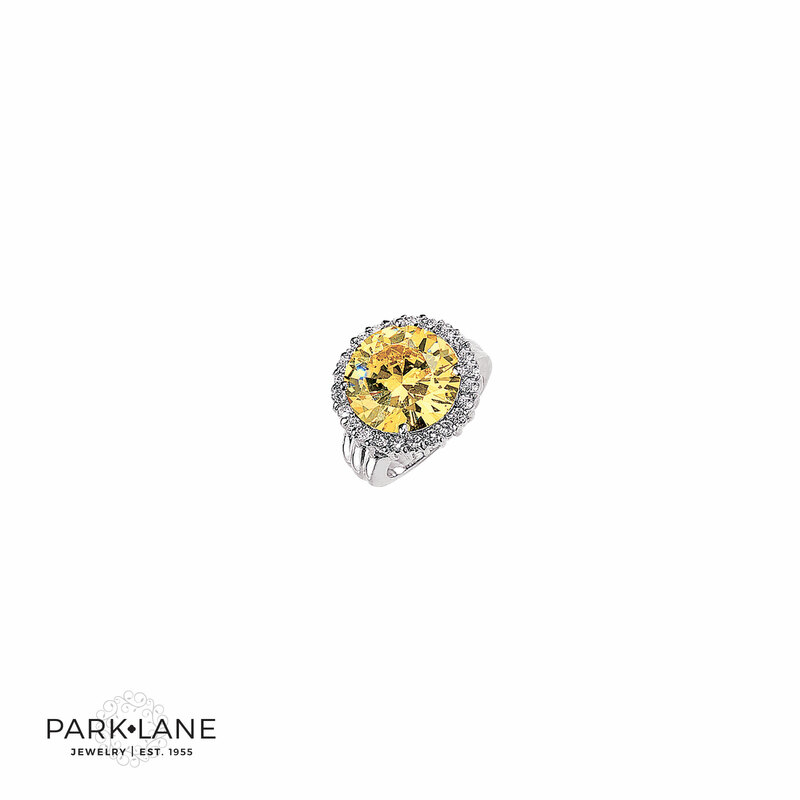 This awe-inspiring mega-watt stunner with its 10-carat CZ in soft citron champagne yellow is a must-have. Unbelievably gorgeous, no woman can resist this eye-popping ring! Ring is available in sizes 5 through 10. A ring THIS gorgeous doesn`t need to match, it goes with anything! But if you are looking for the perfect coordinates, slip Holiday ring on with these ensembles: Centerstage, Bejeweled, Canary Diamond, Monaco, Spotlight-gold, Shell-icious, Opera.